Don't let the name fool you. We provide a wide variety of services related to storage and distribution services. We can provide simple, cost-effective solutions to almost any problem in the freight industry. If you don't see the service you need listed, just let us know and we can develop a plan just for you. At Food Saver Warehouse, we are more than just food and warehousing. See the Contact Us page for customized quotes. We are conveniently located located just 7 miles west of the I40 and I35 interchange. Just 4 blocks north of interstate 40 - see the last page for a map and written directions. 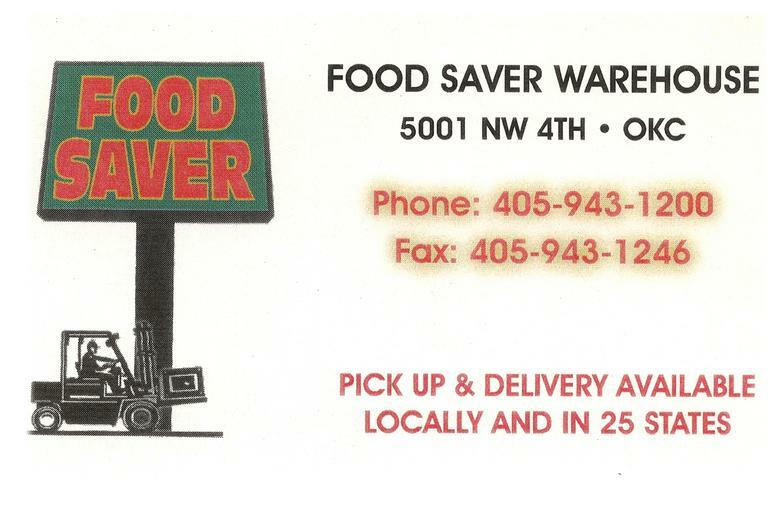 Food Saver Warehouse ® 5001 Northwest 4th ST, Oklahoma City, OK 73127 - A public warehouse and distribution facility.